The plan approved by the investment committee on Monday (March 18) gives CalPERS investment officials the power to negotiate contracts with investment teams for the new organizations. 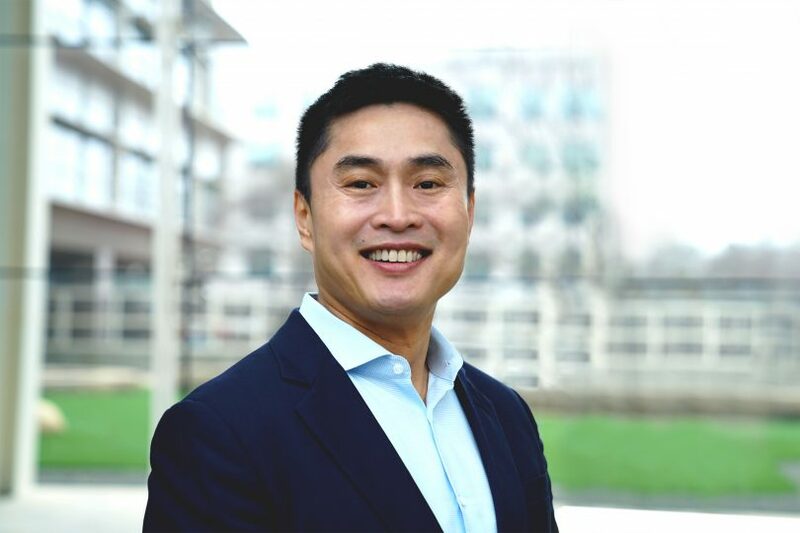 On Friday afternoon, after the market close, I had a chance to speak with Ben Meng, CalPERS's new CIO. Let me first thank Ben for taking the time to talk to me, he's a very busy man and I really enjoyed our long conversation. Let me also thank Wayne Davis, Chief of the Office of Public Affairs at CalPERS for reaching out to me and setting this call up. And let me also thank Ben's predecessor at CalPERS, Ted Eliopoulos, for putting in a good word about me to Ben. Ted moved to New York with his family and joined Morgan Stanley in a new role as vice chairman of investment management and head of strategic partnerships where he will oversee six investment team leaders and bolster the investment bank’s relationships with its asset owner clients. So what did I talk about with CalPERS's new CIO and what were my impressions of him? First, he came across as an extremely nice, intelligent and humble man who is keenly aware of the challenges/ constraints he faces at CalPERS but is very focused on fulfilling his fiduciary duty of attaining the 7% bogey over the long run. Second, there is so much media attention on CalPERS, including social media, that has gotten it wrong and some are spreading outright lies or disinformation on what CalPERS is doing with this new private equity project (they got board approval to go on to the next phase last Monday). Here, I will take a moment (me, not CalPERS or Ben Meng!) to call out the naked capitalism blog run by Yves Smith (aka, Susan Webber) who has been on a mission to lambast CalPERS's senior managers every chance she gets, calling them grossly incompetent and even worse. I have no issues with raising legitimate points but Yves Smith has never worked at a pension fund, she has never invested a dime in a private equity fund, and doesn't fully understand the long-term benefits of the asset class. If it was up to her, all US public pensions wouldn't be investing in private equity, just indexing everything to public markets (and grossly underperforming over the long run, even worse than their current dire state). She cites academics who have never invested a dime in private equity, and she even miscites some of them who are reputable and know what they're talking about. innovative approach to private equity and praising Ben Meng specifically. I chose to testify in front of you and your colleagues, twice, because I see an opportunity for CalPERS to act boldly to support its members, employers and taxpayers and be a role model for innovation to plans around the world. And innovation is required today, as the professional private equity industry is capturing far too much value. As companies have shifted from public to private markets, seeking to avoid the high cost and short-termism associated with being a public company, the greatest beneficiary has probably been the professional money managers and specifically private equity general partners. In my humble opinion, these GPs are becoming astoundingly, mindbogglingly rich under the status quo. For example, when all pension funds decide they won’t do first time funds in private equity – which is common among public pensions - or they won’t invest with managers that don’t havea long and successful track record, they serve to entrench and enrich the managers that are past their first funds and have that track record. I understand that it may individually make sense for a pension fund to do this, but it serves to stifle collective competition and creates quasi-monopolistic conditions. If every pension avoided first-time funds as a matter of principle, where would competition come from to reduce the cost of the biggest GPs? The truth is that we need much, much more innovation in private markets so that investors and companies capture more of the value being moved, stored and created. I’m not suggesting there is no role for private equity GPs. Rather, I simply think their current role needs to be challenged and change. Even the well-resourced Canadian pensions have decided to continue using GPs to source co-investment deal flow, recognizing that the PE space is very hard to fully internalize. In short, if the biggest and most well-resourced pension funds in the world are still using GPs creatively for private equity – I describe this as ‘reintermediation’ instead of full ‘disintermediation’ – then I believe your attempt at reintermediation is also the right one. The good news here is that you don’t need to recreate the reintermediation wheel, as many of your peers around the world have recently launched innovative vehicles to access private markets. You could draw inspiration from BCI and its recent decision to spin out all real estate into QuadReal. You could refer to PSP Investments’ role in seeding more than 10 private equity GPs over the past few decades (very similar to what you are considering). You could look at the experiences (and associated challenges) that the Australian super funds had with Industry Funds Management. You could look at what the Public Investment Fund and Mubadala recently did with Softbank and how the Vision Fund has fundamentally changed the venture capital landscape. You could look to the seeding platform launched by Alaska Permanent, Wafra and RailPen for private equity. I could go on for pages, but I won’t. The simple fact is that you are not alone in trying to reintermediate private markets through innovation. As it pertains to your specific plans, I personally take comfort that CalPERS’ new Chief Investment Officer (CIO) Ben Meng, Ph.D. has evaluated the proposal with fresh eyes and believes it is a critical tool to help the Fund achieve a 7 percent return. The arms’ length nature of the vehicle will allow you to attract high quality talent. And by seeding the vehicles from scratch, you can re-align the strategy and incentives of the talented people you hire, pushing them to work more effectively towards the goals of your own organization. First, please remember that innovation is, almost by definition, messy, uncertain and hard. There are challenges along the way, and many people will seek to push you off course. As someone who has started multiple companies, I can tell you that the number of people who say you cannot do what you end up doing will fill notebooks. You have to establish a robust process with effective governance and remain confident in that process and governance. Second, in addition to the work you are doing to make private markets more attractive, I also believe you need to be much more proactive about making public markets attractive again. Public markets are cheaper and more efficient than private markets, which means companies staying private just benefits professional money managers. From your position of influence, you could push for long-term corporate governance standards that might attract more companies back to public markets earlier. Finally, I stand ready to support you and CalPERS in this innovation project. Please consider this an offer to volunteer some of my time – for free – to help you get the governance and structure of this vehicle right, if you or your staff feel it useful. the State of California and indeed the world needs you to succeed in this. Without innovation, it’s the intermediaries that benefit most from our increasing reliance on private markets. This hardly sounds like someone "repudiating" CalPERS's new initiative in private equity. Let me just correct Ashby Monk on something, PSP did seed new private equity funds in the past under the former Head of Private Equity, Derek Murphy, with mixed results. A few were very successful but most were flops. But he's absolutely right that power has shifted completely to the top GPs and there are all sorts of structural reasons for this and CalPERS needs to take an innovative approach with this new private equity venture. That's exactly what Ben Meng is doing with Innovation (pillar 3) and Horizon (pillar 4). This is an ambitious new project, there are many details left to iron out but he is absolutely right that the focus must be on private equity and taking a completely different approach from the current one. "The current commingled fund approach isn't working for us. 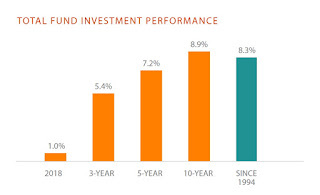 We pay lots of fees, are competing with big LPs for an increasingly smaller share of the top-decile funds, and as a consequence are not able to maintain our private equity weighting which we need to attain our bogey as this has been our best-performing asset class over the long run." Now, let me explain something to my readers. When you invest in a private equity fund, the kingpins want to diversify their base of investors (limited partners or LPs), they don't want CalPERS or anyone else owning too big a piece of the pie. Moreover, their alignment of interests aren't always with their LPs, they want to crystallize their gains as soon as possible and move on to raising their new fund so they can collect more fees. Sometimes you have really good companies and LPs with a longer investment horizon want to keep them on their books for a longer time. In Canada, the large pensions know their portfolio companies intimately well because they typically sit on its board and once a private equity fund is winding down to raise money for their next fund, they have the expertise to bid on these companies if they want to keep them on their book longer. The other thing Canada's large pensions do well is co-invest with their private equity partners on larger deals, allowing them to maintain their weighting in the asset class as their fund gets bigger and lowering overall fees (they pay little to no fees on co-investments as long as they remain invested in the GPs' commingled funds where they pay 2 & 20 in fees). 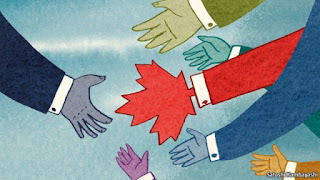 "The Canadian funds have the right governance model, they are able to attract and retain qualified staff and pay them almost as much as Wall Street investment bankers and private equity funds, roughly 80-85%, because they don't need to raise funds there since their clients are captive and they operate in international financial centers and have opened offices all over the world. I cannot do this at CalPERS which is based in Sacramento (not exactly a financial hub! ), at least not now, and need to think carefully about the best way to proceed forward which is timely, efficient and fulfills our fiduciary duty to attain our 7% annualized long-term target." As mentioned above, CalPERS investment officials see forming two investment vehicles, Innovation and Horizon, as a way to build the private equity program going forward. Innovation would make direct-style investments of up to $10 billion in late-stage companies in the venture capital cycle. Horizon would take buy-and-hold stakes, also up to $10 billion, in established companies, similar to what Warren Buffett does with Berkshire Hathaway. Ben told me he read my comment on Canadian pensions embracing new technologies and liked it a lot. I reminded him, however, that venture capital is risky, especially at this stage of the cycle, and so is private equity where record dry powder is driving up multiples and could blow up the industry. I told him flat out, venture capital and private equity are overvalued and he surprised me with his answer. "You're right but find me an asset class which isn't overvalued. Cash isn't an option for us. We need to take intelligent long-term risks and when I look at all the asset classes, I believe the best opportunities lie in private equity as long as you get the approach and alignment of interests right." 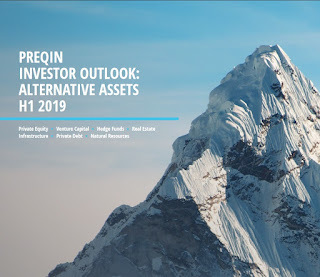 He added: "At CalPERS, we have scale, the brand and proactive liquidity management and can make a meaningful allocation to the asset class, that's what Innovation and Horizon are all about." This is where they are at now. CalPERS's Board approved the next phase of the project, to identify the GPs they will be working with and that is far from a done deal. I raised the issue of specific GPs, heard BlackRock and others made a short list, then I heard those plans were scrapped, it all left me very confused. Ben said the media and social media are to blame and made no specific comments about any GPs. I personally told him he should talk to Mark Wiseman and André Bourbonnais at BlackRock, he told me he has spoken to Mark and thinks highly of him but when I asked him why weren't Blackstone, Brookfield, and other top GPs on the short list, he politely replied: "Out of respect to all great GPs, we are not going to comment, suffice it say there are ongoing dialogues and what was reported in the media and social media was inaccurate or speculation." I told Ben venture capital is a tough cookie to crack, seen success and major blowups in past functions at pensions and the BDC and I'm not sure they will be able to allocate $10 billion to Innovation. He agreed, said it won't be easy but cited the IPO pipeline for Lyft, Ubber, Pinterest, and other large private tech companies getting ready to go public, providing VCs and their investors great returns. On Horizon which he calls pillar 4, the goal is to mandate it to a "captive GP" which will initially be captive to CalPERS, where there will be a long-term "Warren Buffett approach" and if that's successful, they can then invite "like-minded LPs to join it down the road." The critics focus too much on transparency and fees but Ben is right, given the constraints he's operating under, this is the best approach for CalPERS to beef up its all-important asset class over the long run and deliver the 7% bogey going forward. He's in no rush, however, and will take his time as he and his team proceed to the next phase. Given where the private equity and venture capital industry are right now, I think it's wise to take their time, find the right partners, and scale into Innovation and Horizon over the next few years as opportunities arise, but they need to do something because the current commingled fund approach isn't working. I joked with him: "What about opening offices in Vancouver, Toronto and Montreal to do more co-investments and scale into private equity relatively fast?" He replied: "You never know, that might happen in the future." On a more serious note, Ben told me he will be visiting Toronto this summer and wanted to meet his peers. I told him I'll be happy to put him in touch with CIOs, CEOs and others in the industry, professionals I know. After speaking with him, I really think CalPERS, its Board, its members and its stakeholders, need to all take a step back and allow Ben and his team to move forward on Innovation and Horizon. Lastly, let me share something with all of you, and I told this to Ben but he was polite and had no comment as his focus is squarely on investments and delivering long-term returns. You can have the best investment team on the planet but unless you adopt a shared-risk model like Wisconsin and others have done, including Canada's top pensions, your plan will always be vulnerable to a pension deficit. Take the time to read my comment comparing OTPP to PSPP, I discuss all this. Again, these are MY views, not Ben Meng's views, so please don't email him lambasting him on adopting a shared-risk model. The man only talked private equity with me. I want to sincerely thank Ben for taking the time to speak with me, he was too kind and I look forward to meeting him in person some time in the future when our paths cross again. I also thank Wayne Davis for contacting me to set up this call. For everyone else, stop reading negative comments on CalPERS on social media and media sites. Trust me, Ben Meng knows very well the challenges he's facing, he has a keen sense of his fiduciary duty and is proceeding on the right path given the constraints he's dealing with. CalPERs was very wise to hire him as their new CIO. Below, CalPERS CIO Ben Meng discusses how private equity has been the highest returning asset class for the California pension, helping them achieve their target return. I also embedded the entire Investment Committee which took place last Monday, take the time to listen to all of Ben's points on private equity, he is the first speaker and does a great job outlining the key issues. 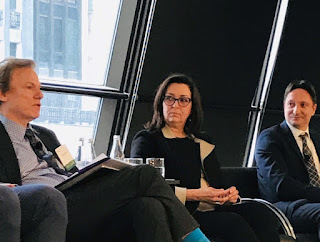 Lastly, Mark Redman, OMERS's global head of private equity, recently discussed the appetite for private equity and growing concerns about record dry powder with Bloomberg's Jason Kelly at the SuperReturn International conference in Berlin. Great discussion, listen carefully to what he says and realize the big difference between their approach and that of CalPERS and other US state pension funds.